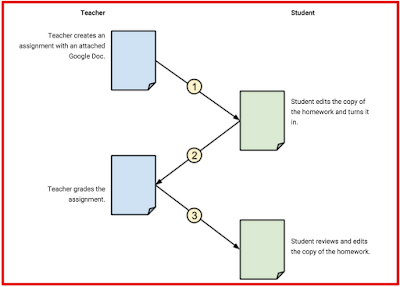 Google Classroom allows you to easily create, share and collect assignments with your students paperlessly. 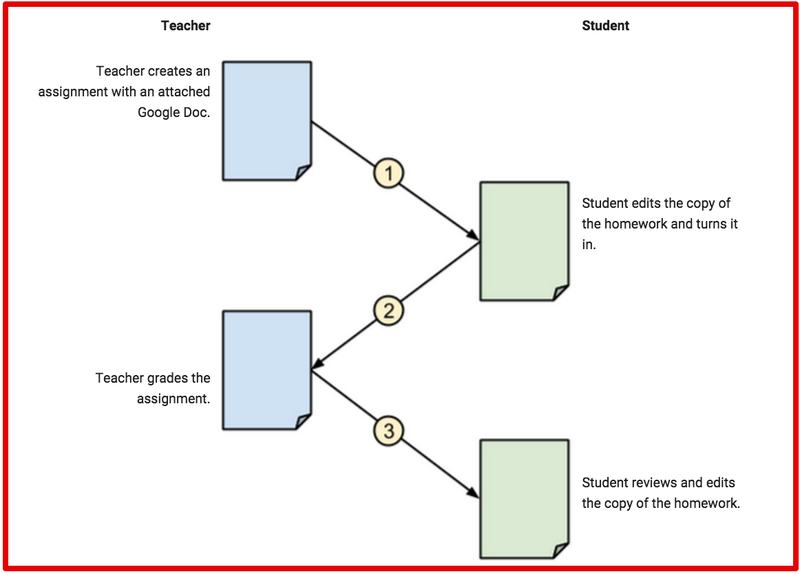 Being integrated with other services such as Gmail, Drive and Google Docs, Classroom provides teachers with an intuitive platform preeminently geared towards enhancing the assignment flow between teachers and students. As a teacher, you have access to several features related to your assignments. You can, for example, use the same assignment in different classes. You can also choose whether you want your students to work on individual copies of the assignment or work on the same copy. Moreover, Classroom lets you share individualized feedback with your students and track how they are faring on their assignments. 1- Sign in to Classroom at classroom.google.com. 3- Click at the bottom, and click Create assignment. 4- Enter the title of the assignment. 5- Enter any additional instructions if needed. 6- (Optional) Click Due date to select a date from the calendar. By default, the assignment is due the next day. To create an assignment with no due date, click . 7- (Optional) Click Time to select a time from the drop-down list or enter a custom time. 9- (Optional) To upload a file, click , select the file and click Upload. Locate and select the relevant item and click Add. Select Students can view file if you want all students to read the same file, but not change it. Select Students can edit file if you want all students to make changes in the same file. Select Make a copy for each student if you want each student to have an individual copy of the file that they can change as needed. Enter the link for the YouTube video and click Add. Enter keywords in the YouTube search bar. Click the video that you want to attach and click Add. 13- To attach a link, enter the relevant link text and click Add. 14- If you decide that you don't need the attachment, click X next to the attachment. 15- (Optional) To give the assignment to another class as well, click the class name next to the attachment icons and select any additional classes. If you want to post the assignment immediately, click Assign. If you want to save the assignment for a later date, click the arrow next to Assign and select Save draft.